We exist because we believe that a relationship with God and with others will make your life better. We want as many children as possible to experience that at Camp Hardtner. We believe so much in the value of that, that we make it a priority to partner with families to invest in their children. Finances should never prevent someone from experiencing summer camp. To that end Camp Hardtner and the Diocese of Western Louisiana have scholarship funds available to support campers with demonstrated financial need. Campers who qualify will be given scholarships equal to 1/3 of the cost of the session. The camper’s family will be expected to provide 1/3 of the cost, and their home church should provide the remaining 1/3. If a family’s need exceeds this standard then the family can request additional assistance. You may be asked to provide more information about your financial circumstances, and your case will be reviewed based on your specific need. 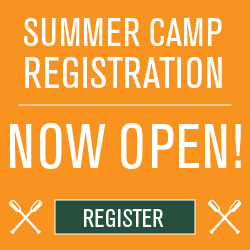 Remember that summer camp registration and scholarship application are two separate processes, so you must complete the scholarship application form on the bottom of this page to be considered. Please provide all of the information requested so that we can review all applications and return a decision to applicants as quickly as possible. Please contact me with any questions by calling 318-765-3794 or emailing [email protected]. All portions of this form must be completed for an applicant to be considered. All scholarship awards are based upon the requested amount, need, and available funds. I certifiy that the above information is complete and accurate to the best of my knowledge.